The holiday season is here and that could mean major success for retailers looking to cater to the growing number of mobile consumers. A new study from the GfK Group, a consumer research agency, suggests that shoppers are planning to rely heavily on their mobile devices during the holiday season, at least in Singapore. Though the study focuses on Singaporean consumers, the trend of consumers relying on their mobile devices for commerce and online shopping can be seen all over the world. According to the study, online shopping could save consumers as much as 45 hours, much of which is standing in line or waiting for service. This time equates to approximately $1,400, suggesting that retailers lose a significant amount of money if consumers lose time. The study also found that approximately 43% of all Singapore consumers are using their smart phones and tablets to find the products that they are interested in, a promising sign for mobile commerce. The GfK Group study notes that mobile commerce is growing in Singapore, and elsewhere. In Singapore, 78% of consumers use mobile applications to access online retail stores, with a sizeable portion of these people using these applications to purchase products. 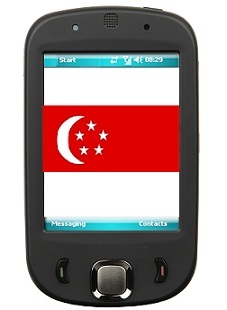 Singapore is one of the most promising mobile markets in the world, with a smart phone penetration of over 88%. This is part of the reason why companies interested in mobile commerce are so eager to establish themselves in the country. The GfK Group study was commissioned by PayPal. The company has already established a powerful presence in the realm of commerce, but has been working to appeal to mobile consumers in a more appealing fashion. The company has been tracking the demand for mobile commerce services over the years and is positioning itself to meet these demands around the world.